This delicious recipe comes to my kitchen via my awesome Cousin Julie’s kitchen. Julie had the best taste in many things – art, decorating, food, and Cousins! 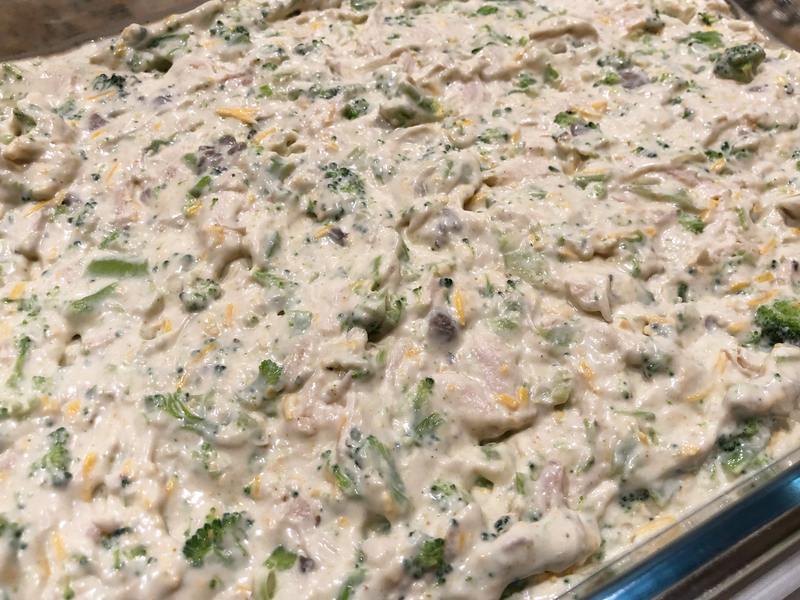 My Cousin Jennifer said Chicken Divan was a Sunday staple that they enjoyed quite regularly. 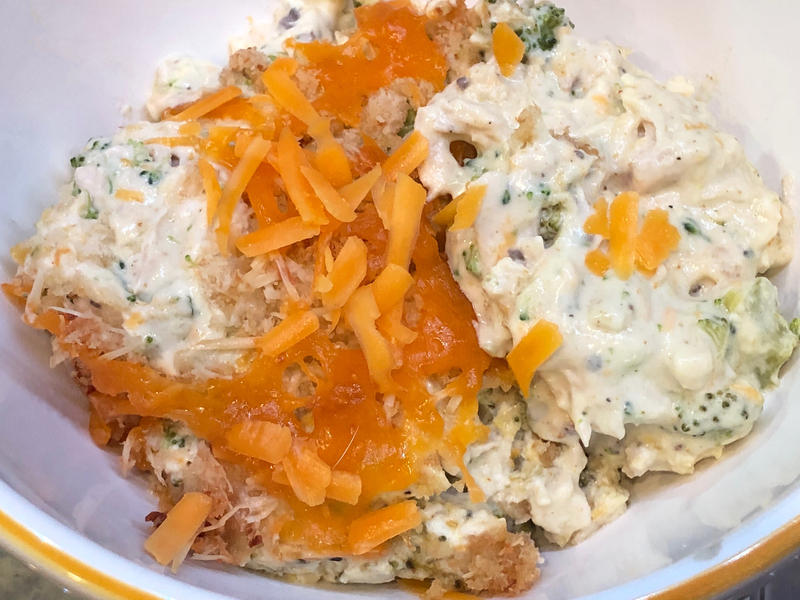 So if you want to help create a few cherished family memories, chicken divan may be a wonderfully tasty starting place! While the original recipe is not vintage per se it comes to our bellies via Paula Dean, so you know it’s gotta be good. 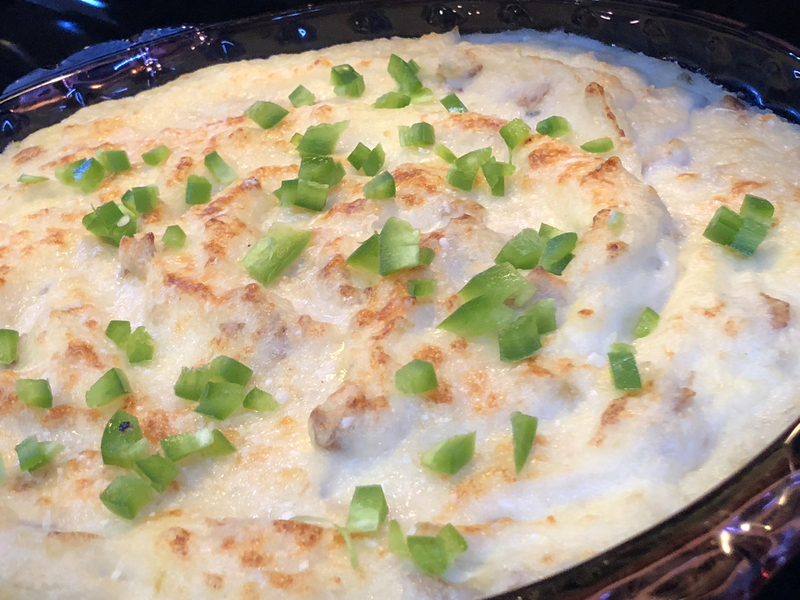 I hope you try this dish that’s been known as a classic American casserole since the 1960s. In fact, the dish has origins back much earlier to its birthplace as the signature dish of New York City’s Chatham Hotel. ❤ Pull up a chair and let’s talk cheese. I try to refrain from buying bagged shredded cheese. For years I used it but as my hunger for knowing more about food intensified I realized I preferred freshly grated cheese vs. bagged cheese. I found it melted better and on closer inspection discovered bagged cheese has a coating on it that prevents clumping. Some posts I read said this dusty white coating was actually cellulose, which is made from wood pulp. I’m out. ❤ Is Parmesan Cheese the same thing as Parmigiano-Reggiano Cheese? You might be surprised after reading this article! And this one, too. 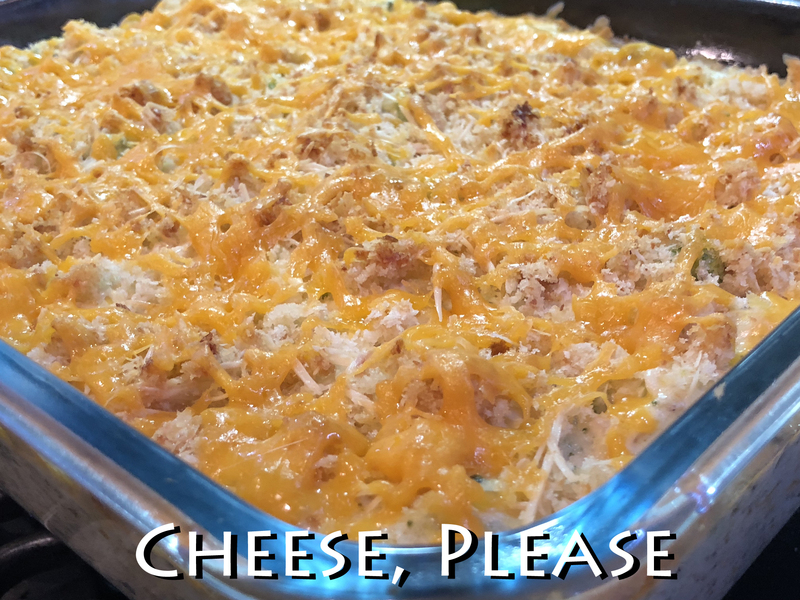 Hint: No shaker cheese for this recipe! ❤ In a flurry to get this dish made? 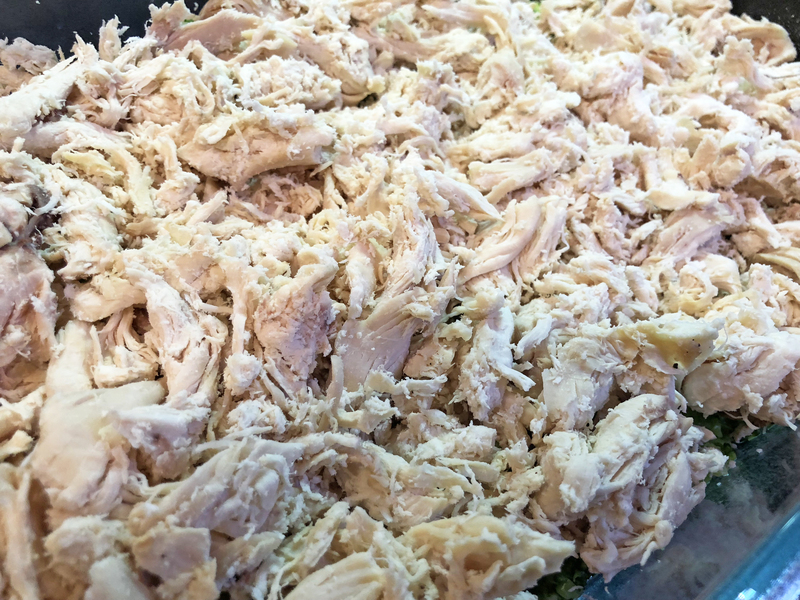 We used shredded chicken from our grocery and it shaved some serious time time off of the food prep clock. Total prep: About an hour. 1. Remove the outer wrappers from the boxes of broccoli. Open one end of each box and microwave on full power for 2 minutes, or until thawed. Drain the broccoli into a strainer and add the shredded chicken and let rest. 2. In a medium-sized bowl, add the soup, mayonnaise, sour cream, cheddar, lemon juice, curry powder, salt and pepper to taste, and the wine. Whisk everything together to make a sauce. Transfer the broccoli-chicken mixture to the bowl with the sauce and gently mix things well using a spatula. 3. Place the mixture into an 11-inch x 7-inch casserole dish that’s been sprayed with vegetable oil cooking spray. Pat the Divan mixture down evenly and smooth with a spatula. 4. In a small bowl combine the parmesan, bread crumbs and butter and sprinkle this over the top of the Divan mixture. 5. Bake for about 30 to 45 minutes until bubbly. If desired, about halfway through baking remove from oven, top with cheese, and return to bake until toasty. Remove from oven let rest and serve! Pairs well with a salad – enjoy! This special recipe is dedicated to Anna. 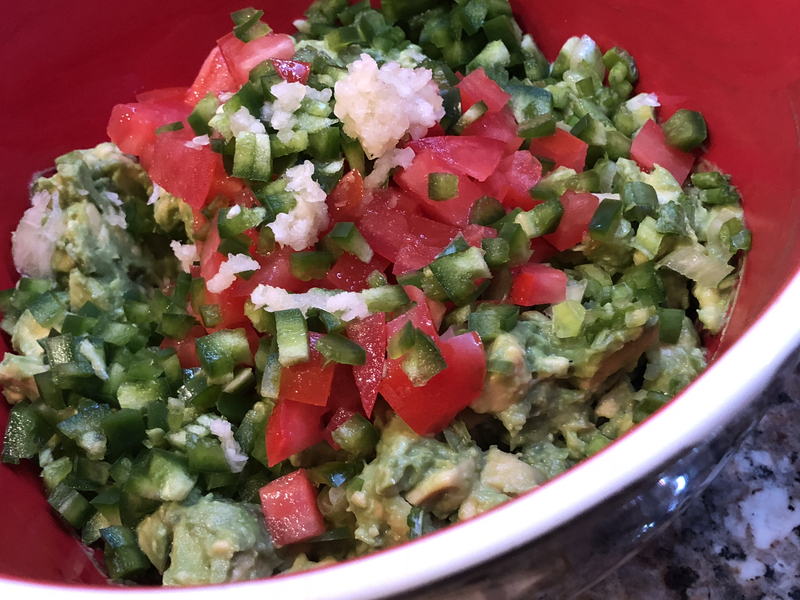 Homemade in February 2018 and promptly sent to the freezer, we later released this guacamole from its icy resting place to celebrate Super Bowl 2018 almost 50 years after the recipe was published. I can promise you this is the first time I’ve made *then not quickly devoured* a delicious bowl of the green stuff but I was following my Mom “Betty’s” recipe clipped from the San Antonio Express-News as an experiment (see the recipe below). The recipe’s intent was to freeze before eating. 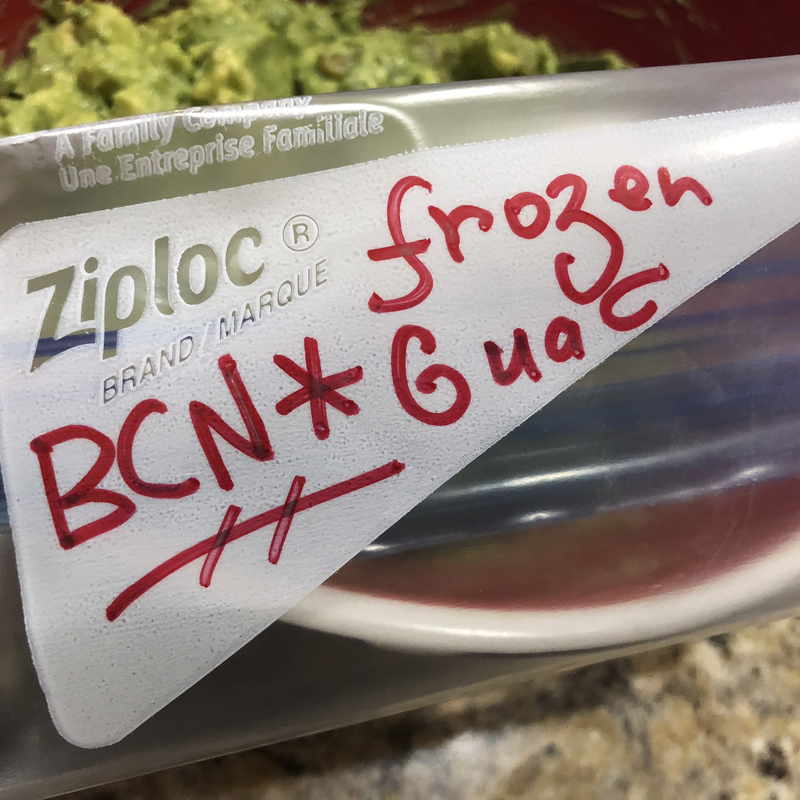 Good gravy – freezing guacamole? I agree – it seems odd at first but if you dial back the timeline to the 1960s/1970s the home economist (our Mothers) thirsted for ways to run an efficient kitchen. So freezing guacamole is a great way to prepare for your party without having to do all the work in the heat of the moment. 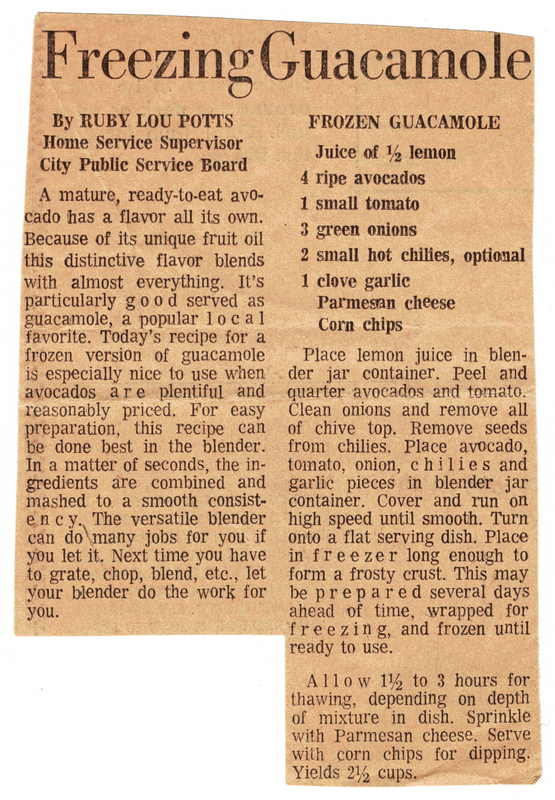 Back in the day freezing guacamole was considered “normal stuff,” like prepping your wardrobe or your “to dos” for the great day ahead. Brilliant forethought! To Texans guacamole is right up there in the inner circle of sanctity along with queso, big hair, and cowboy boots. These are the things we place high and mighty on our list of things to cherish. To literally “mess with Texas” is to tamper with one of its revered staples so you can image I was nervous about tinkering with the obvious – to divert from the culinary mission to make then eat in “normal” fashion. To my family guacamole is a treasured treat. While we don’t necessarily enjoy “guac” for breakfast, lunch, and dinner like most outside our state might think – guacamole holds its place in our hearts as a “constant craving” food we keep near and dear. 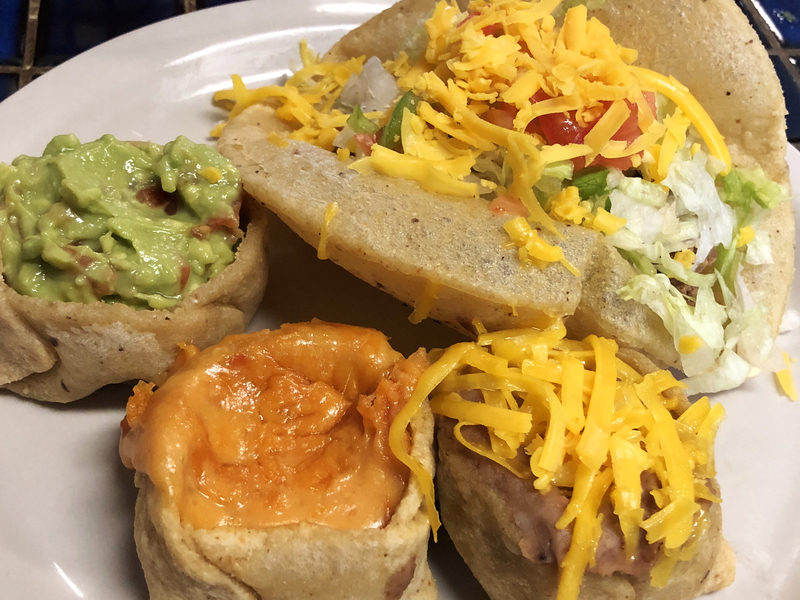 I Like My Puffy Taco Flanked By The Royal Line Up Of A Guacamole, Cheese, And Bean + Cheese Cups. One of our most special restaurants was — and still is — Teka Molino — which has some of the greatest food in the region (sorry, Nation, you do not qualify). 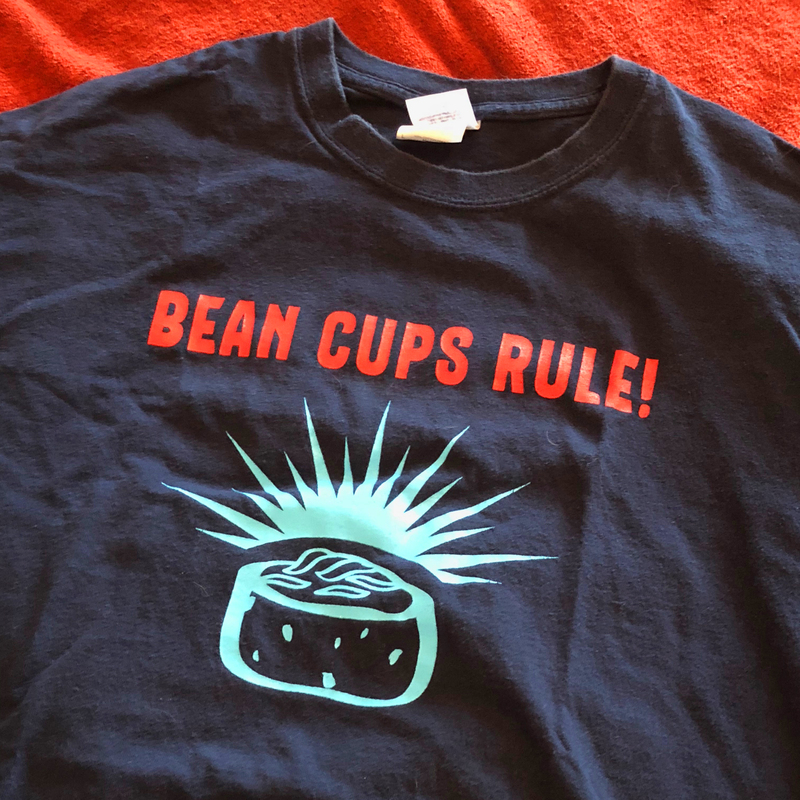 Heck, I sometimes drive 97.8 miles from Round Rock to San Antonio just to enjoy Teka’s puffy tacos, bean rolls, and I always get a guacamole cup; a pot of gold served from masa fashioned into a cup which has been delicately deep fried. I’ve lived north and south in Texas and I can promise you there’s nothing more tastefully authentic! 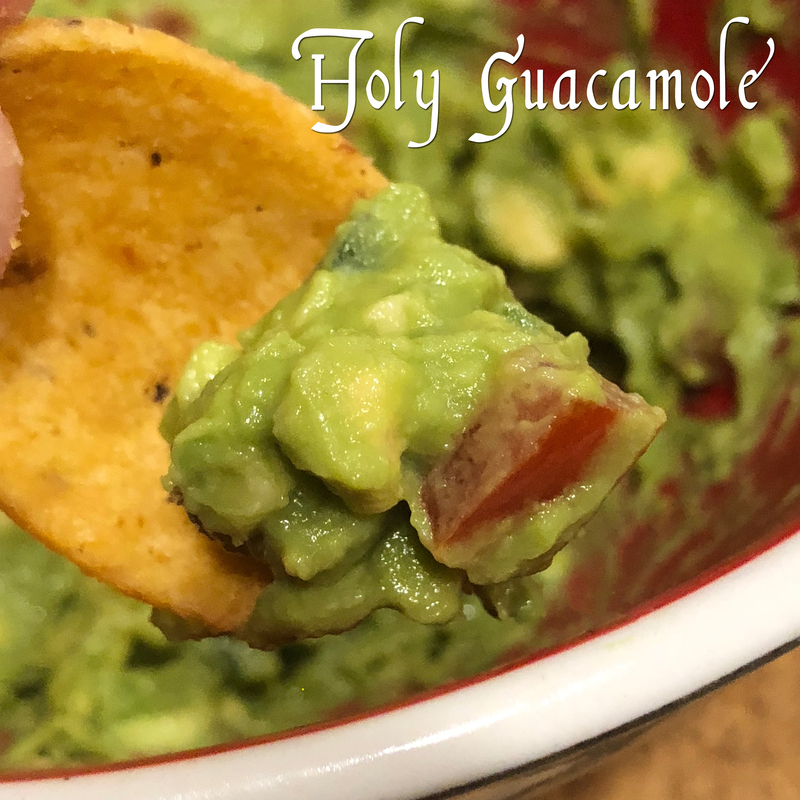 So let’s dive deep into this guacamole and experience one of the greatest culinary gifts — glorious holy guacamole! ❤ Guacamole isn’t just a dip for chips, it’s a great plus-up to queso, enchiladas, tacos, soups, and it brightens a sad and lonely spoon (oh, yes I have!). Guacamole’s best friends include the nacho chip, the Fritos Scoop, and its often found mingling atop a properly dressed grilled hamburger, along with its farm-raised kissin’ cousins Mr. Bacon and Ms. Monterrey Jack Cheese. 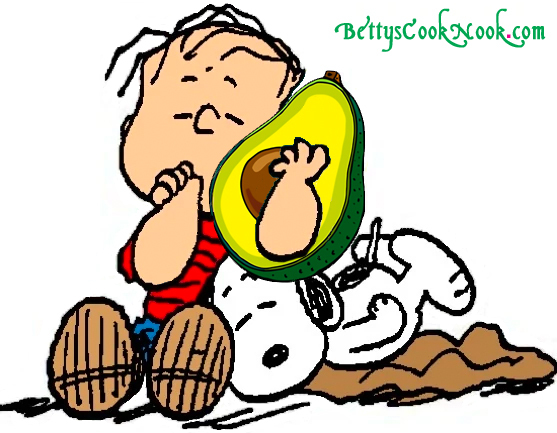 ❤ Nobody likes tired, ol’ brown guacamole. To extend your guacamole’s zest for life give it a slight squeeze of lime on top prior to serving. You can also store it overnight by placing cling wrap on top of the guac and lightly smoothing it out to remove any trapped air. ❤ I usually forage for the best ripened avocados from the bottom of my local market’s produce container. If I’m reluctantly forced to choose from pre-ripened avocados I’ll place them in a sunny window for a few days to help ’em along their way. ❤ My brow raised when I saw this recipe calls for parmesan cheese. It isn’t because I don’t love parm, but I’ve never had it alongside guacamole. And, while this recipe calls for lemon, lime is a citrusy suitable sibling. Lemon and lime go together like PB&J, cheese and wine, or a smile birthed from puppy kisses. I prefer my guacamole fork-mashed and chunky but I can respect why a blender was used given the culinary movement of the era. After digging into the author’s past below I discovered she hailed from South Carolina. Hmm. So while I’m not saying this guacamole isn’t authentically Texas because of lemon and parmesan cheese I’m just noting the special twist Ruby Lou brought to this guac. Guacamole is a wonderfully inclusive dish that pairs well with others! ❤ Can’t get enough avocado? Explore some of the other recipes by clicking “avocado” in the ingredients word cloud list in the righthand menu. 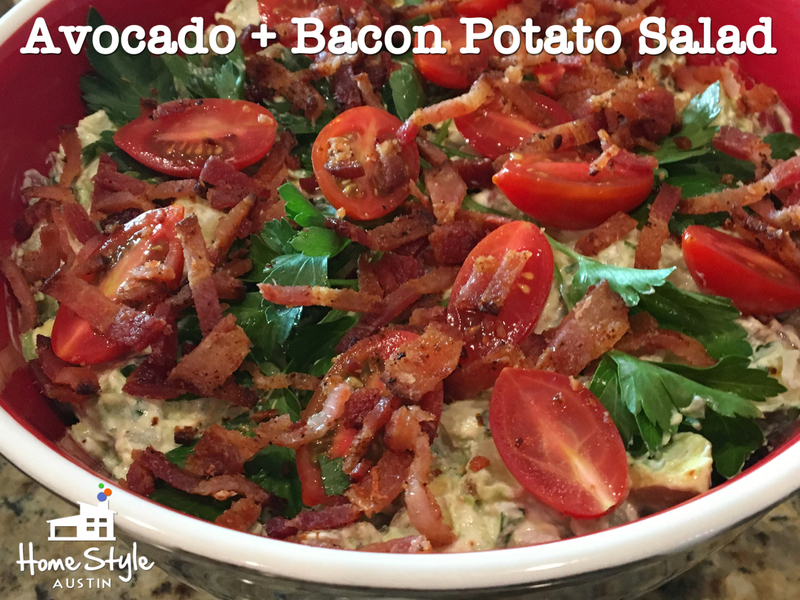 Don’t miss my Mom’s most special flavorful twist on potato salad made with avocado, bacon and sour cream instead of the typical mayonnaise. It’s a “Best Of The Best” recipe that has become a family tradition. To prepare: About 15 minutes. 1. Place your lemon juice in a blender. 2. Peel and quarter the avocados and tomato. Wash and dry the green onions and remove the chive tops. (Whoops — we accidentally included them and it was the more the merrier!) Remove the seeds from the jalapeños (we included them for more texture). Chop the garlic into small pieces. Add the avocado, tomato, onion, jalapeños and garlic to the lemon juice. 3. Cover the blender and run it on high speed until everything is smooth. Turn the guacamole onto a flat serving dish and place it in the freezer long enough to form a frosty crust. You can prepare this several days ahead of time if wrapped for freezing (we used Ziploc freezer bags). 4. To thaw allow 1 ½ – 3 hours depending on the depth of the your guacamole. Sprinkle with parmesan cheese and serve with corn chips or your favorite sidekick. 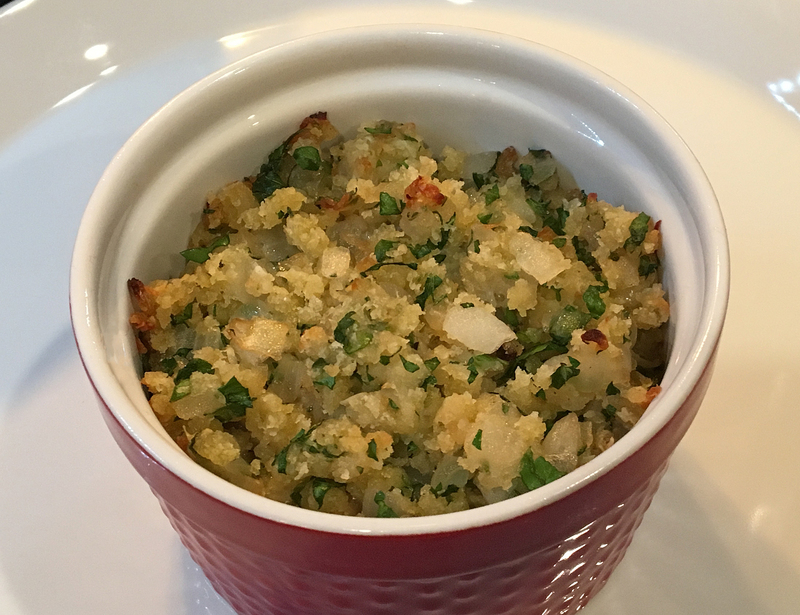 I Siphoned Off Some Potato Salad For A “Potato Salad Shooter.” A Perfect Way To Enjoy Your Day! Who Was Ruby Lou Potts? 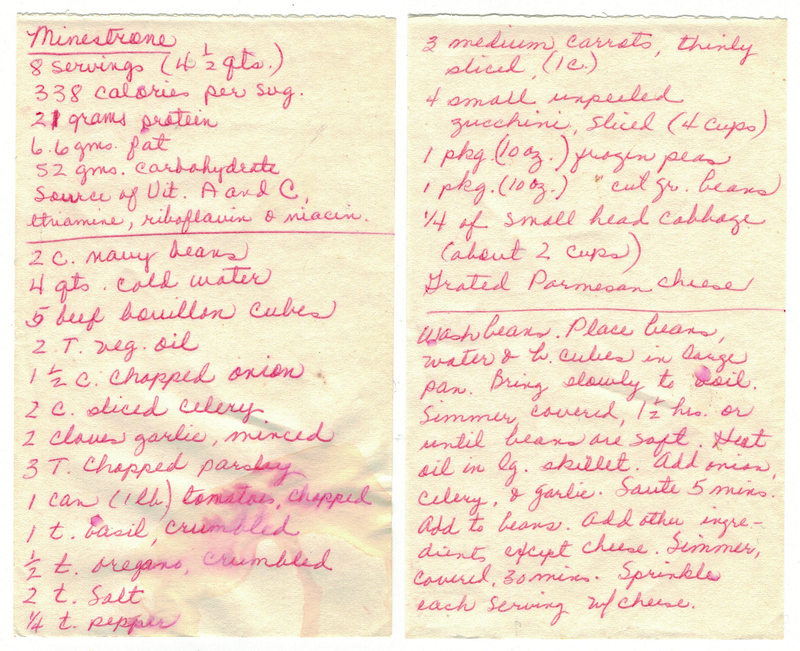 She penned the recipe (above) that caught my Mom’s eye. 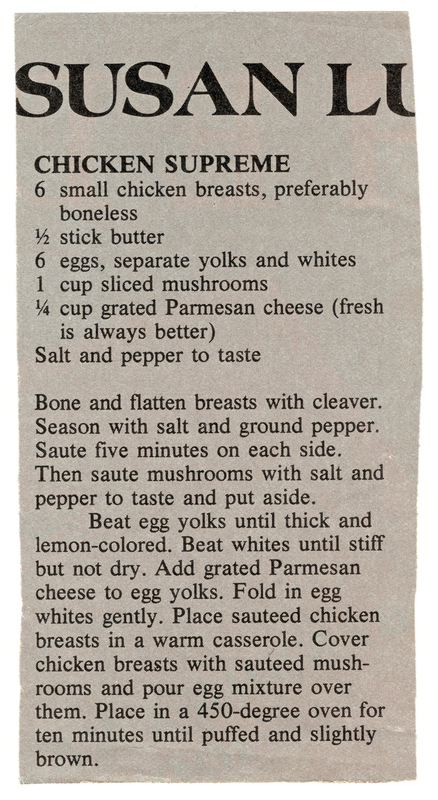 I found this old newspaper article about her which lends more detail about the era this recipe was likely penned. Take note of the new byline the “Bexar Cupboard” feature in today’s San Antonio Express. 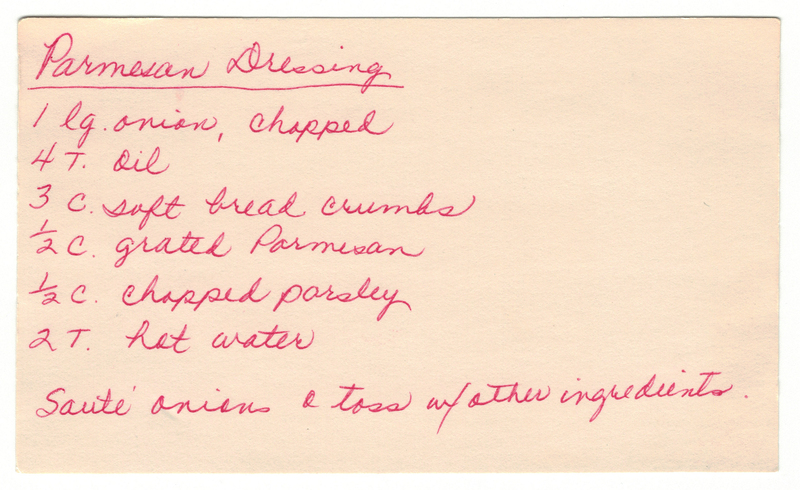 Since 1952, Nell Read (who later became Nell Read Carraway) has signed these popular weekly articles on food produced by the Home Service Division of City Public Service Board. When Mrs. Carraway retired at the end of June, Ruby Lou Potts moved into her job as Home Service Supervisor and, with today’s article, becomes the author of “Bexar Cupboard,” an exclusive feature carried Tuesdays in the San Antonio Express. Mrs. Potts needs no introduction to followers of “Bexar Cupboard.” She has been a home economist with CPSB since 1958 and has frequently been photographed for the column, demonstrating food preparation. Mrs. Potts holds a degree in home economics from Winthrop College in Rock Hill. S.C. She is a former home economics teacher and dietician. She and her husband, William Robert Potts, have two sons. Bob, who lives in Houston, and Charlie, who is serving in the Marine Corps in Vietnam. Mrs. Carraway has chosen to retire early in order to enjoy her family. When she married Ben Carraway three years ago she acquired four grandchildren, a daughter and a son-in-law. “I have a wonderful family,” she says, adding that she wants to become a full-time homemaker and do for her family the work she has taught so many for so long. She has been with the City Public Service Board for 41 years and for 37 as Home Service Supervisor, in this capacity she and her staff have helped women of San Antonio with countless problems encountered in running a home. Mrs. Carraway’s work with the annual San Antonio Livestock Show has brought about the organization of the Women’s Division which sponsors competition in cooking, baking and preparation of food and pastries. Because of her outstanding contribution to the civic life of San Antonio, two years ago the San Antonio Chapter of Theta Sigma Phi named her winner of a Headliner Award. She began writing a weekly feature for the San Antonio Express in 1952 when Hattie Llewellyn was food editor. It was called “In the Spanish Patio.” In 1955, the name was changed to “Bexar Cupboard.” Now, as Mrs. Carraway lays aside her pen, it is with continuing pride that the San Antonio Express publishes “Bexar Cupboard” without interruption. Watch for the column each Tuesday written by Ruby Lou Potts. Also Known As “California Potato Salad” This Dish Is Deliciously Dy-No-Mite! Home Style Austin? One Of My Other Blogs! I’m THAT Into Food! Fun fact: Avocados are considered single-seed berries — not vegetables. Who knew? Not me! Read more! 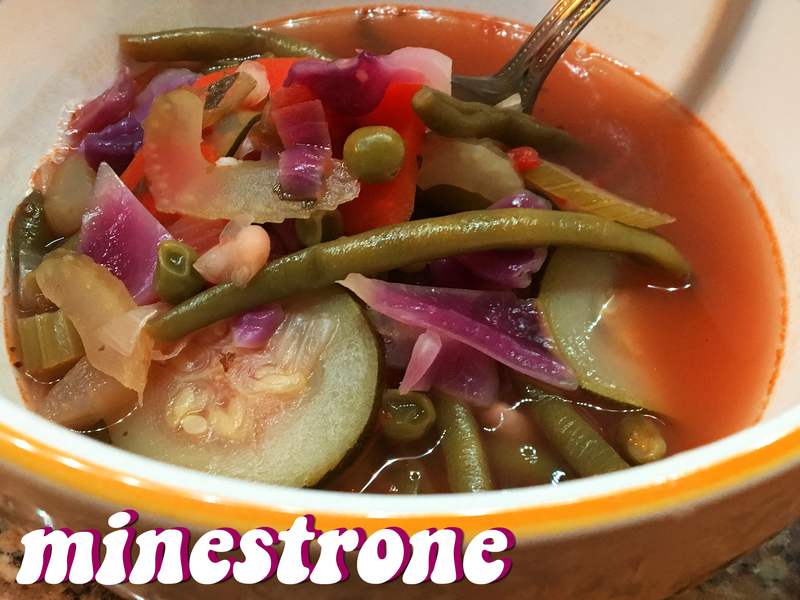 This is the third minestrone recipe I’ve discovered in my Mom “Betty’s” cookbook so there’s no doubt this was one of her favorites. 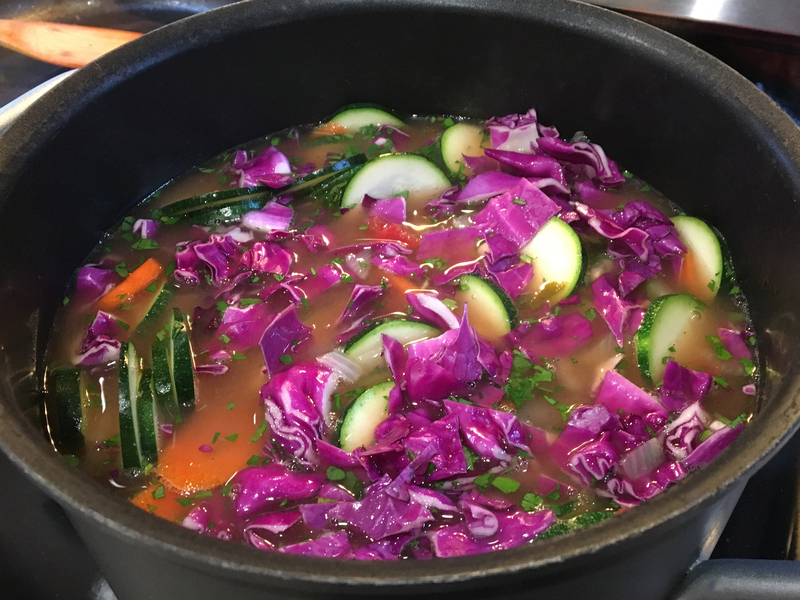 This soup’s signature ingredients of beans, onions, celery, carrots, stock, and tomatoes will not disappoint. Plus, there’s pasta and cheese! I’m glad to be reminded that this dish hails from Italy. And not just Italy but ancient Italy (think BC, folks!). I’ve kidded a few times here at Betty’s Cook Nook that my family must have had poor roots as many of the recipes we ate growing up are considered peasant foods. This is one of them; minestrone belongs to a style of cooking known in Italy as “cucina povera” (literally “poor kitchen”). All I have to say is bring it on — I love my peasant foods as they are hearty and the very origins of comfort foods rely upon them! True story: I once made and devoured an instant mashed potato on sliced white bread sandwich proving my forever love for carby sustenance. 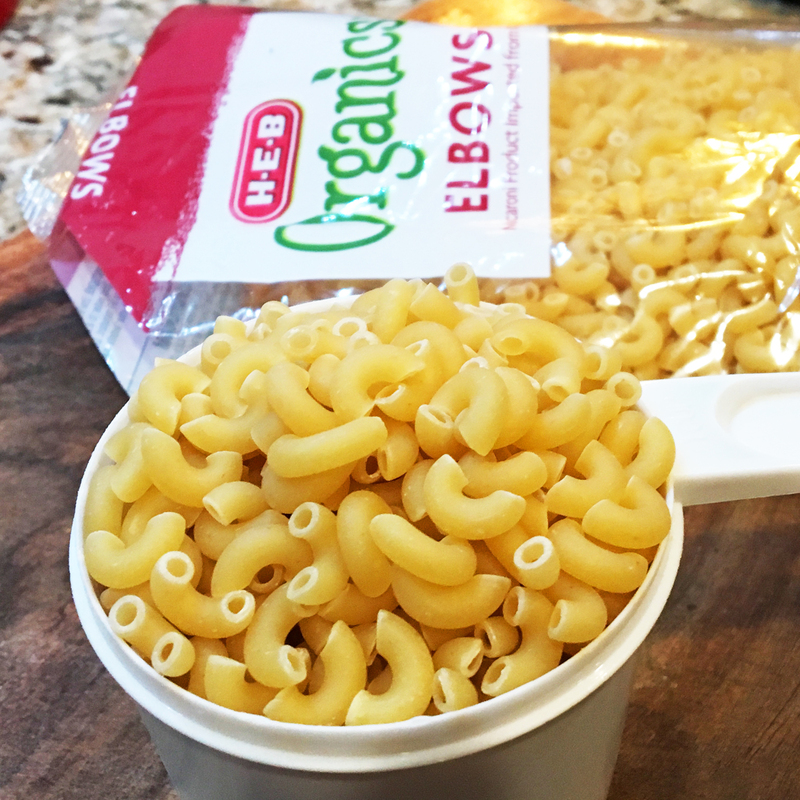 Macaroni For Me … Macaroni For You! 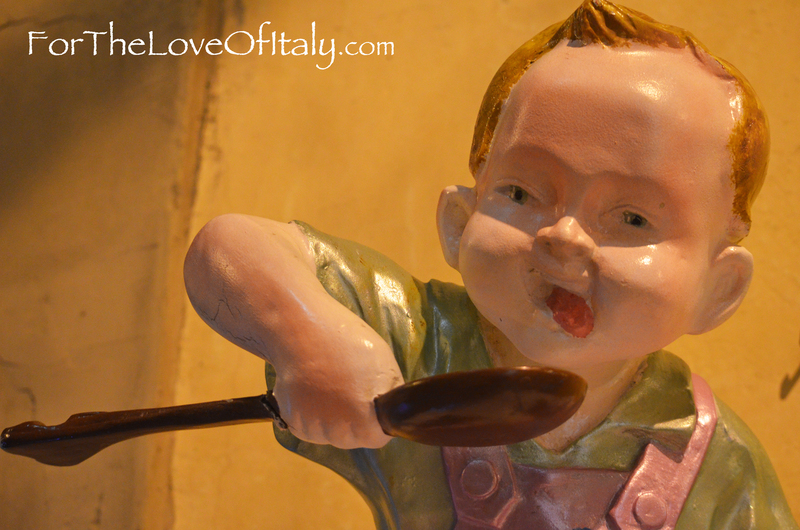 As a lover and former resident of Italy, one thing I’ve learned is that Italians do not rush in the kitchen. They really don’t rush outside the kitchen, either, unless it’s from behind the wheel of a fast sports car or when horse racing at revered events like Siena’s Palio. 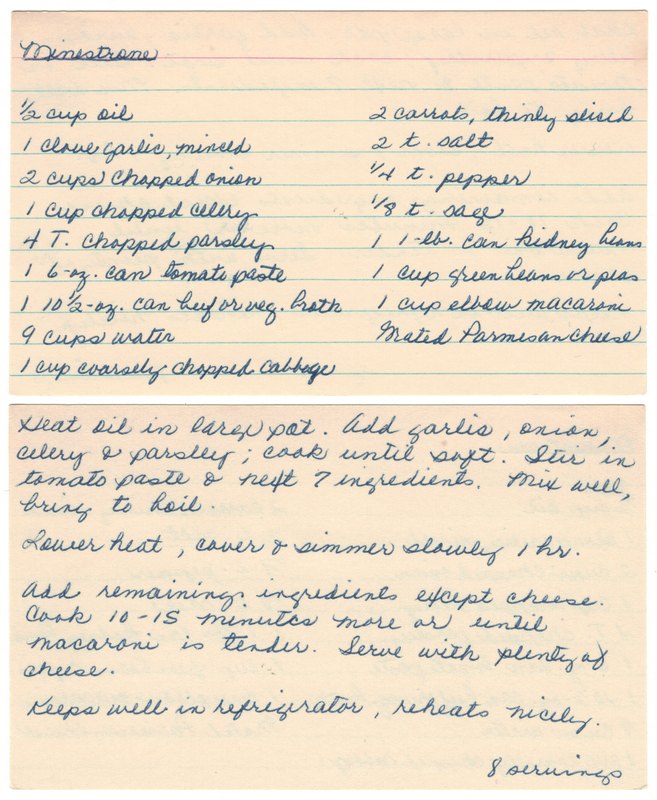 In similar fashion, please don’t hurry this recipe — let the ingredients mingle and get to know one another. While cooking time takes about an hour and a half it’s well worth the wait. You’ll be treated to wonderful smells from your lively kitchen and rewarded with a savory soup that has withstood the test — and taste — of time. ❤ Back in the day “oil” likely meant Crisco vegetable oil. Since this dish has Italian roots we used olive oil — a kitchen staple. As fan of a great olive oil, for several years I’ve fostered an Italian olive tree living on a farm gracing the hills outside Montalcino, Tuscany. Each year after the Il Palazzone harvest my eyes grow as wide as dinner plates when 3 bottles of pure gold arrive at my door. That’s amore! 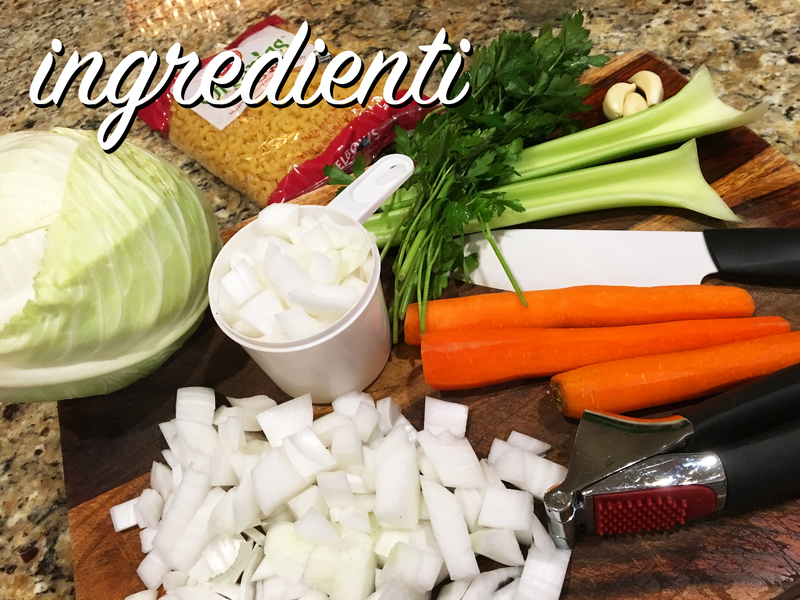 ❤ Make sure and check out Mom’s other two minestrone recipes here and here. I’m not sure which version I like best as each has its own merit. In a pinch you could make the one that makes best use of the ingredients you have in your kitchen. 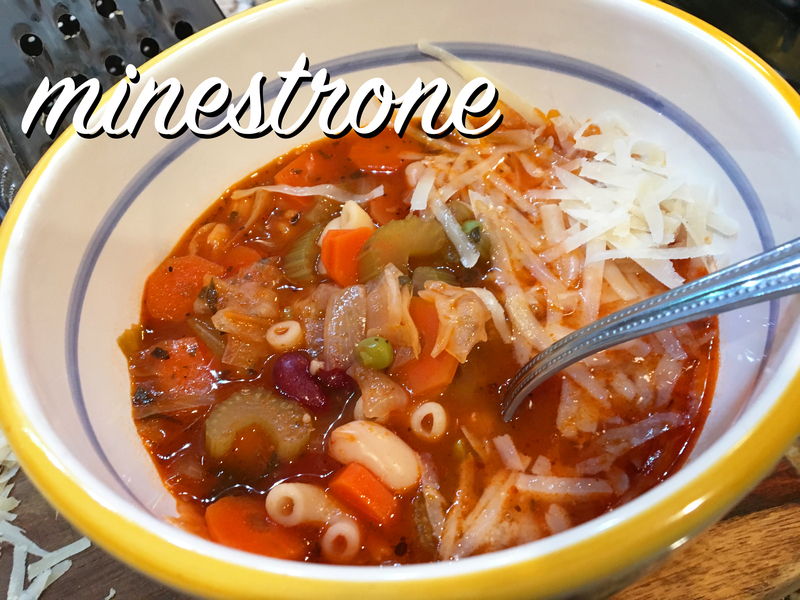 ❤ Wacky about minestrone? Wiki’s got you covered with more interesting facts about this zesty soup! 1. In a large pot heat the oil over medium-high heat. 2. 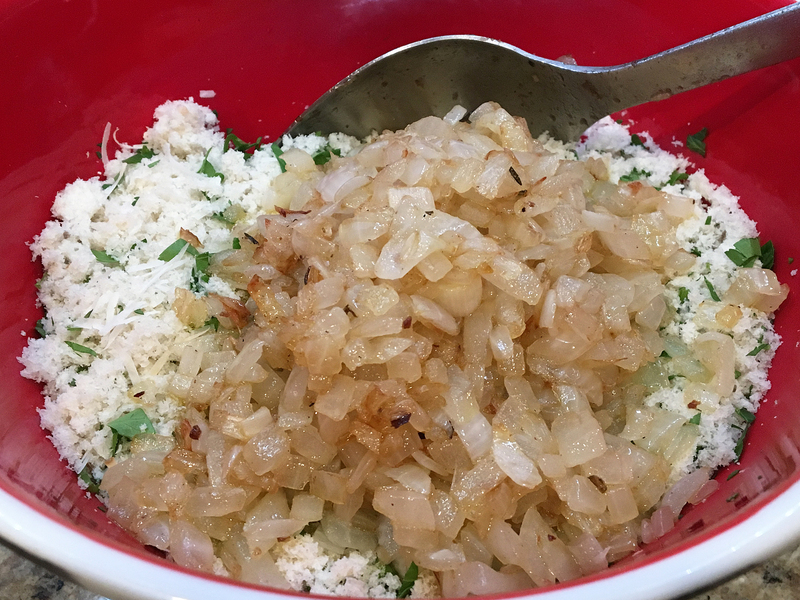 Add the garlic, onion, celery, and parsley and cook until soft, about 7-9 minutes. 3. Stir in the tomato paste and the next 7 ingredients (the broth, water, cabbage, carrots, salt, pepper and sage). Mix well and bring to a boil. 4. Lower the heat, cover, and simmer slowly 1 hour. 5. Add the kidney and green beans (or peas) and the macaroni. Cook 10-15 minutes more or until the macaroni is tender. 6. Serve with freshly grated parmesan cheese. That’s right — grated cheese makes the world go ’round! Yields 8 servings. Keeps well in the refrigerator and reheats nicely! 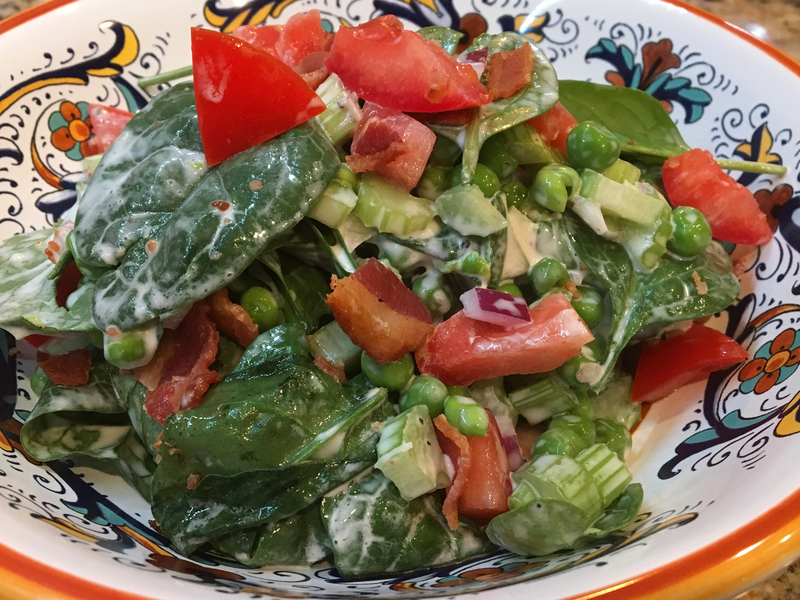 Almost four years after making Mom’s Layered Salad recipe, Bootsie’s Salad kicked its way into my life. I don’t know who ‘Bootsie’ was, but celery, red onion, and tomato were a flavorful twist on the layered salad. 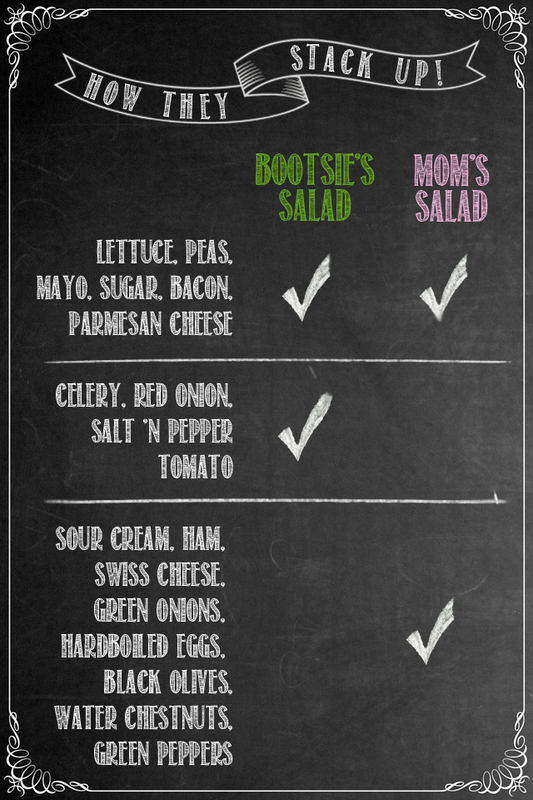 So what, exactly, are the similarities and differences between Bootsie’s and Mom’s salads? I conducted a little side-by-side comparisons and the results are in! ❤ I thought it was odd that both recipes called for sugar. I didn’t really notice it, which means it probably got married-up with the mayonnaise (or sour cream). If you’re watching your weight you can eliminate the sugar and use low fat mayo along with other substitutions. 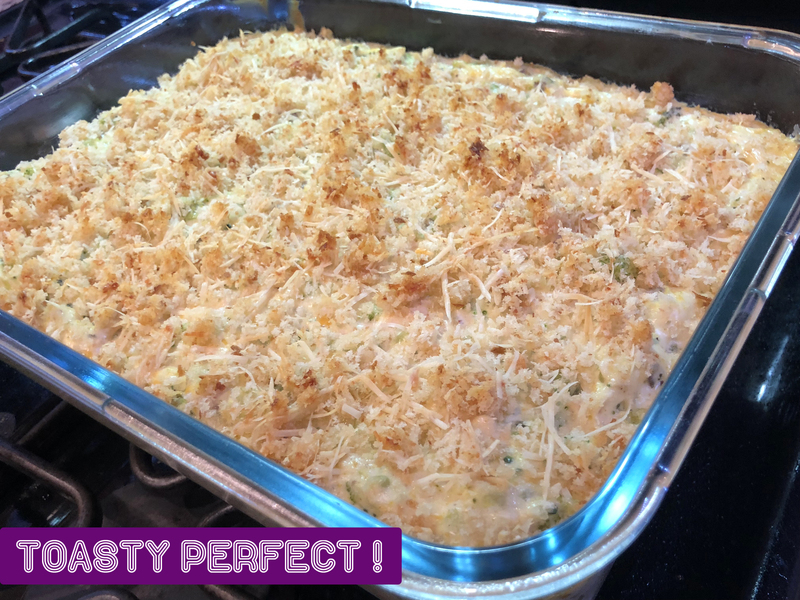 Remember – this recipe is from flashback 1970s so pretty much anything went into the belly! ❤ This would pair well with anything from the grill – chicken, pork and beef come to mind. 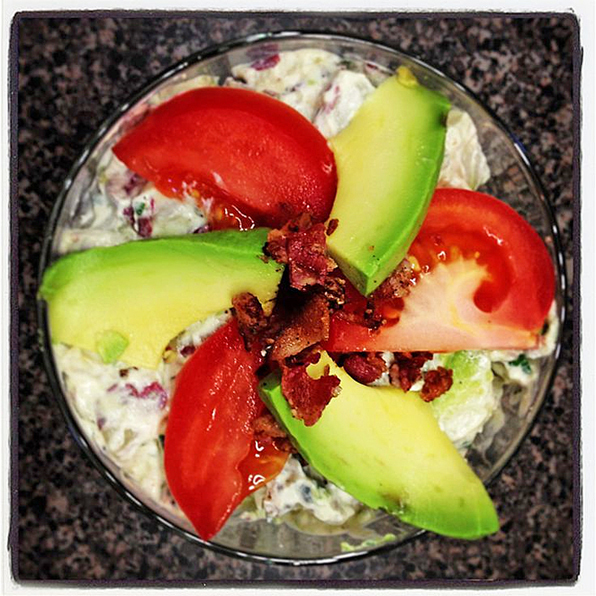 ❤ In case you missed the callout above here’s the link over to Mom’s Layered Salad here on Betty’s Cook Nook. 1. Prepare the peas and set them aside. 3. Cover the salad bowl with foil (or wrap) and place it into the fridge or crisper to allow things to marinate, about 3-5 hours. 4. At some point before you’re ready to unveil the salad prepare your bacon and set it aside. 5. When ready to serve, remove the salad from the fridge and garnish with the crumbled bacon, tomato, and the parmesan cheese. 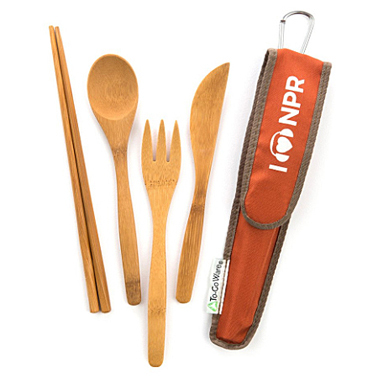 Yields 4-8 servings, depending on the size of your appetite and whether this is being served as a main entree or a side! While Bootsie’s Salad Recipe doesn’t call for any additional dressing poured on top (you’ve already made it with the mayonnaise), let’s have a look at some vintage salad dressings commercials that might make you smile wider than a salad bowl. Sous Chef Note: Let’s take a brief time machine stop into the 1980s with this Salad Shooter commercial. I was working at Foley’s in the (gulp) housewares department and this commercial was on a loop which means in a typical 8 hour shift I would have been exposed to this jingle almost 1,000 times. And some wonder why I hand slice/grate – the jingle is tattooed on my brain! Sous Chef Note: “What’s happening to salad that’s never happened before?” It’s getting smaller! I’m going to need seven servings of this Seven Seas salad – apparently my appetite is bigger than this teacup saucer-sized salad plate! With a recipe calling for just a few ingredients, I was quite leery that this dish would delight the tastebuds. Turns out I was in for a chicken supreme surprise! This is a surprisingly simple dish that pairs well with vegetables or potatoes. As a self-proclaimed carb monster you can likely guess what side I chose! 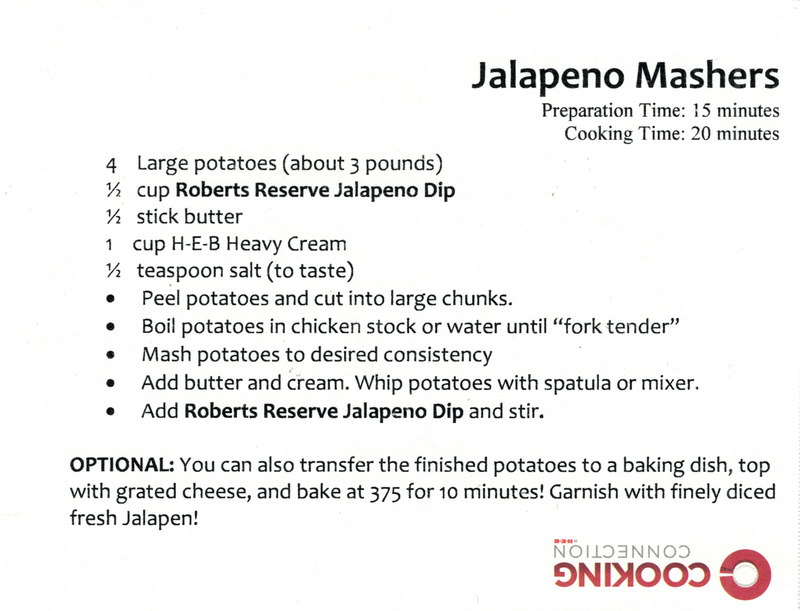 I’m including *at no extra cost to you* the jalapeño mashers recipe I scored from H-E-B because these were really delicious and we’ll be making the mashers again soon. Details below! For maximum enjoyment speed up the Mr. Bean video below to 8X original speed and let’s get on with the eating of the chicken! ❤ Dining for two? We reduced the portions below to ⅓ and we were fully sa-tis-fied! ❤ Falfurrias butter? Yup! My Grandmother “Nanny” (Betty’s Mom) insisted on it. Don’t disappoint my Nanny! 1. 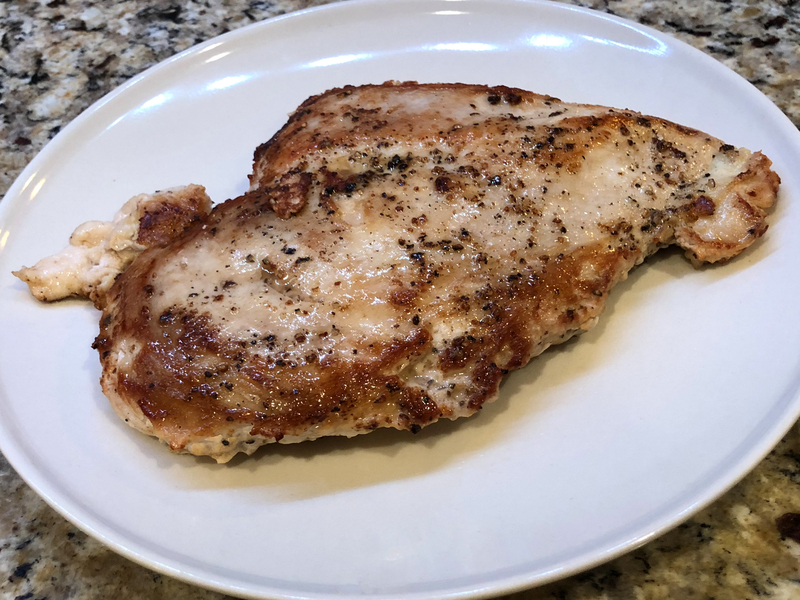 Flatten the chicken breasts with a cleaver. Joe placed the breasts in cling film and pounded away. Remove the breasts from the film and season them with salt and pepper. 2. In a medium-sized pan over medium-high heat add ½ the butter then the chicken and sauté the breasts five minutes on each side. Set the chicken aside on a plate or platter. This Is My Chicken Set Aside On A Plate. A Finely Plated Chicken, I Must Say! 3. 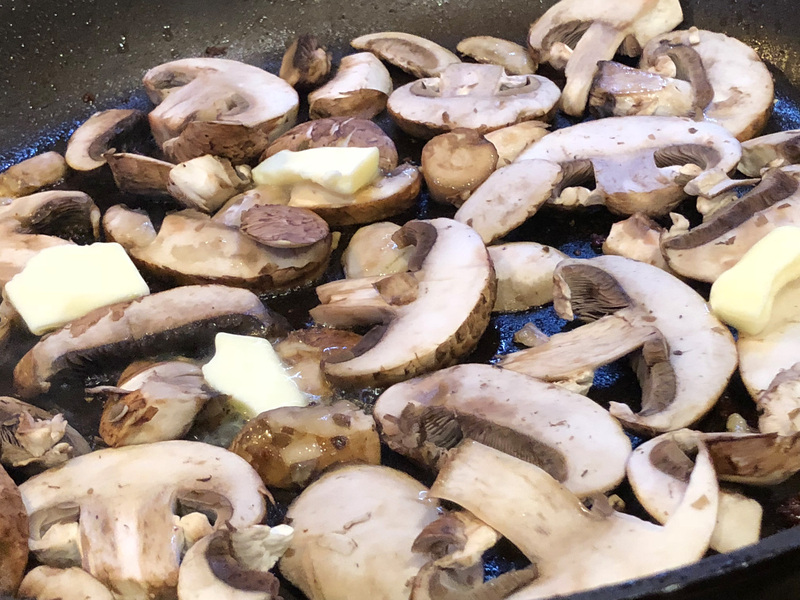 In the same pan, sauté the fresh mushrooms with the remaining ¼ stick butter. Season with more salt and pepper to taste then set aside. 4. In a medium-sized bowl, beat the egg whites by hand until stiff, but not dry. In a separate bowl beat the egg yolks until thick and lemon-colored. Add the parmesan cheese to the egg yolks. Then gently fold in the egg whites. 5. Place the sautéed chicken breasts in a warmed casserole dish. Cover the breasts with the sautéed mushroom mixture and pour the egg mixture on top. 6. 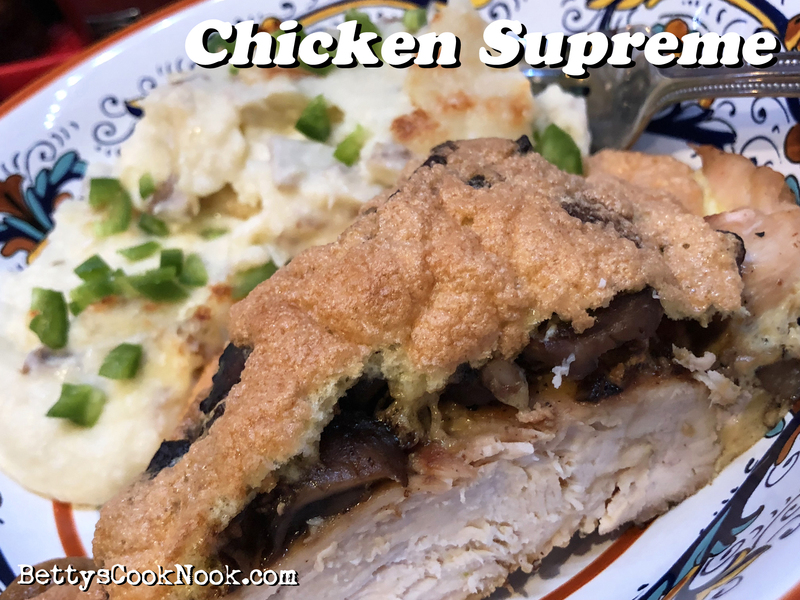 Place your chicken supreme in a 450°F degree oven for 10 minutes until puffed and slightly brown. Yields 2-3 servings, depending on the size of your chicken breasts! 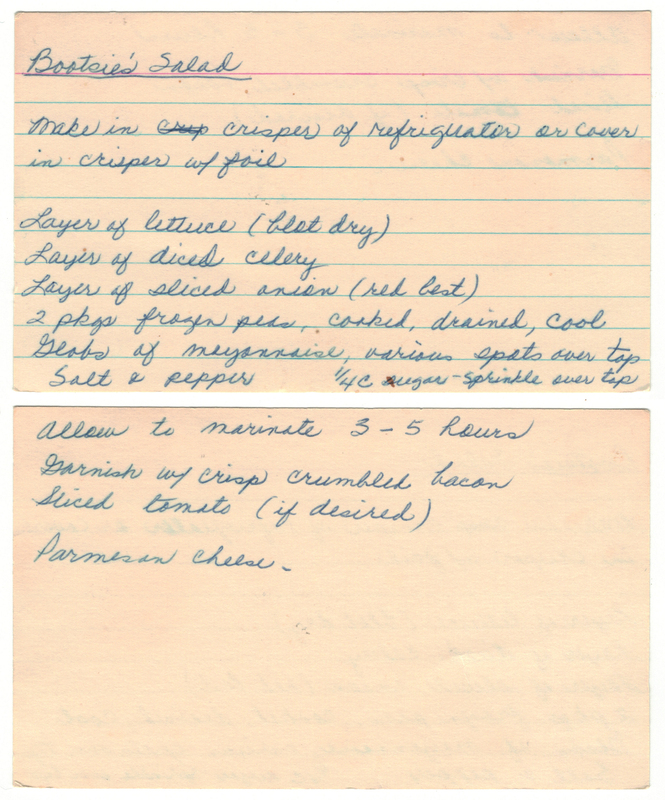 A Scan Of Mom’s Original Recipe For Chicken Supreme – Could The Recipe Headline Indicate This Is From Susan Lucci’s Kitchen? Mash the potatoes to desired consistency and add the butter and cream. Whip the potatoes with a mixer or spatula (we used a mixer). Add Roberts Reserve Jalapeño Dip and stir. Transfer to a baking dish, top with grated cheese and bake at 375°F for about 10 minutes. Garnish with finely diced fresh jalapeño! Enjoy! When I first picked this recipe from Mom’s cookbook, I thought I’d be making a creamy salad dressing chock-full of grated parmesan. I was so very wrong! A few minutes into the prep for this recipe and I knew to set my salad aside. I was making dressing. Or was it stuffing? Turns out I wasn’t sure the differences of either. 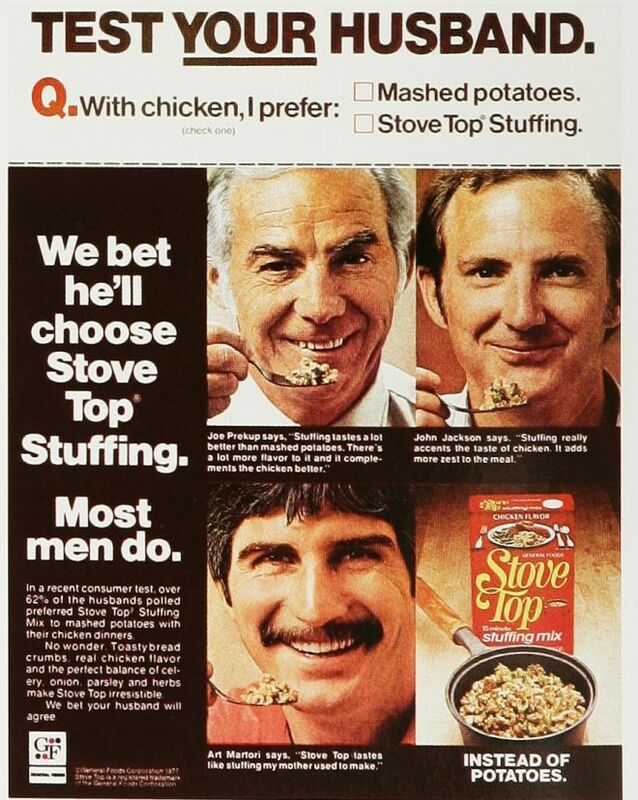 I grew up loving me some Stove Top Stuffing. Not that my Mom “Betty” regularly made it – I did. My love for stuffing started and swelled during my college years and since I’ve polished off more than a few boxes of the stuff like it was a main course … and a dessert. After a little bit of online research I was left even more conflicted about the differences between dressing and stuffing. Some posts I found noted that the only difference was whether you prepared and served the dish from inside a bird (hence stuffing) vs. from the side of the bird (or dressing). Another post said it was due to differences in dialect as in the south dressing was a more “genteel” way of referring to stuffing. Reading this made me feel like I time-warped back into a scene from Gone With The Wind. Others posts pointed to stuffing being super moist and dressing more like a special combination of sticky-pillowy soft with a hint of crisp – this is the style I am used to. All I know is based on this Butterball survey, the various regions of the country do have differences in preference. No wonder my confusion! 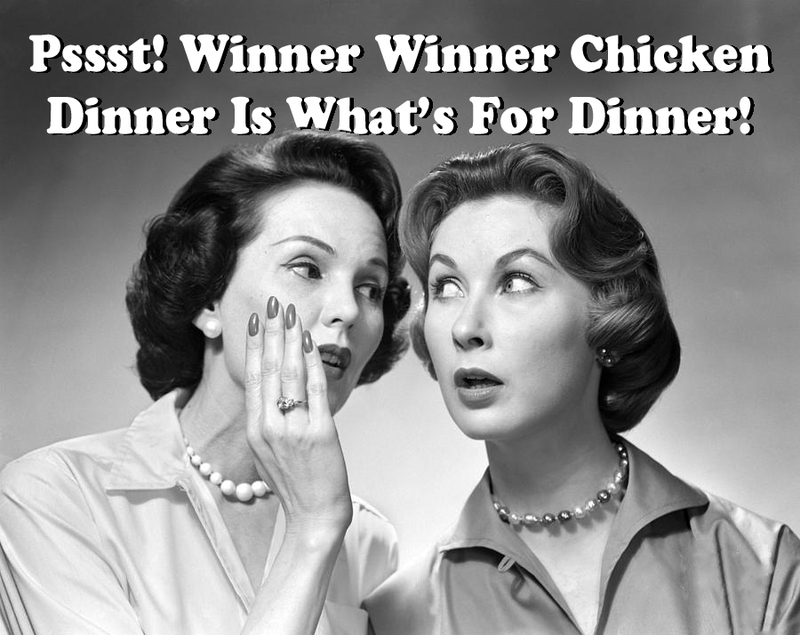 As a Texan, I live in a region where the popularity of “stuffing” vs. “dressing” is an arm-wrestle more evenly matched than anywhere else in the nation! Heck, even in this Paul Deen video, the Southern Queen of Comfort Food herself uses the terms interchangeably… yet her end result looks more like porridge than what I’m used to. Heck, y’all, if Rachael Ray was weighing-in here, she’d probably call this dish “druffing,” as she’s known for inventing words that are a made-up mish-mash of food itself! So, what does your family call it? I simply call it “get in my belly!” And just like the war over chili with or without beans, I’ll leave it to you to make and enjoy the very best of your favorite recipes! ❤ A word about parsley … While I’m fairly certain that in the good ol’ days any reference to parsley implied the curly-leaf kind, today I’m a lover of Italian flat-leaf parsley because I find it less “grassy” and “scratchy” on my palate. The good news is you can pick whichever variety you like! ❤ Step 3 below is optional, but I tried the dressing before and after and preferred the dressing with a slight toasting. 1. In a medium pan over medium-high heat, sauté the onions. 2. Add the onions to all the other ingredients and mix well. 3. This step is extra (from me)… I transferred my dressing into a 350°F preheated oven for about 5-7 minutes to toast it up a bit. I added a bit more freshly grated parmesan on top to give it a little punch. A few more vintage Stove Top commercials from me to you! Stove Top Stuffing: Creepy, Remarkable, or Somewhere in Between?! Listen to this NPR spot about the origin of Stove Top Stuffing and its creator, Ruth Siems. After listening to this I gained a greater appreciation for the culinary convenience of Stove Top Stuffing as well as the time-tested art of conventional stuffing! 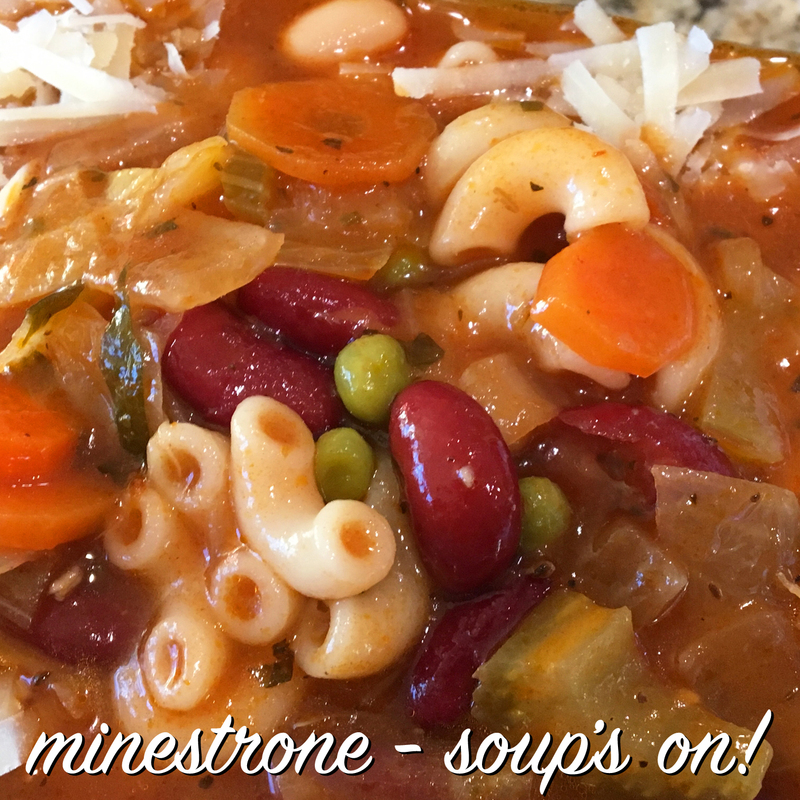 This isn’t our first time at the minestrone rodeo! 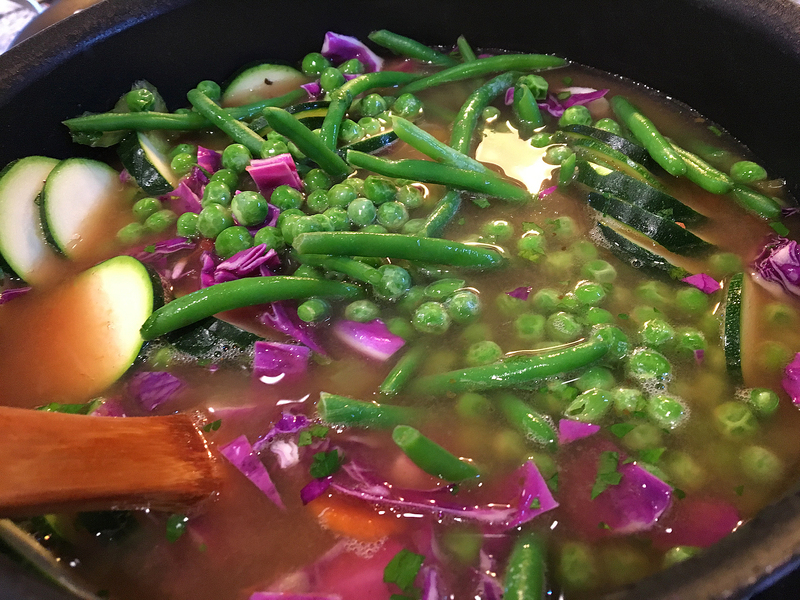 In 2012 we made this minestrone recipe and Mom must have surely loved this soup because I think I’ve found 3 different minestrone soup recipes in her cookbook. ❤ I used red cabbage for a pop a’ color. ❤ I was concerned at first sight by the mass quantity of soup. But when I later did the math I realized it’s perfect for a party of eight. Or 4 days of 2 bowls each. :/~ You can also bag and freeze leftovers for a quick meal when you’re short on time. ❤ “Navy beans” are referred to by many a name. Haricot. Pearl Haricot. Pea Bean. This high fiber bean isn’t navy blue in color – rather white – and prized for its cholesterol-lowering health benefits plus its ability to retain an oval shape after being cooked tender. 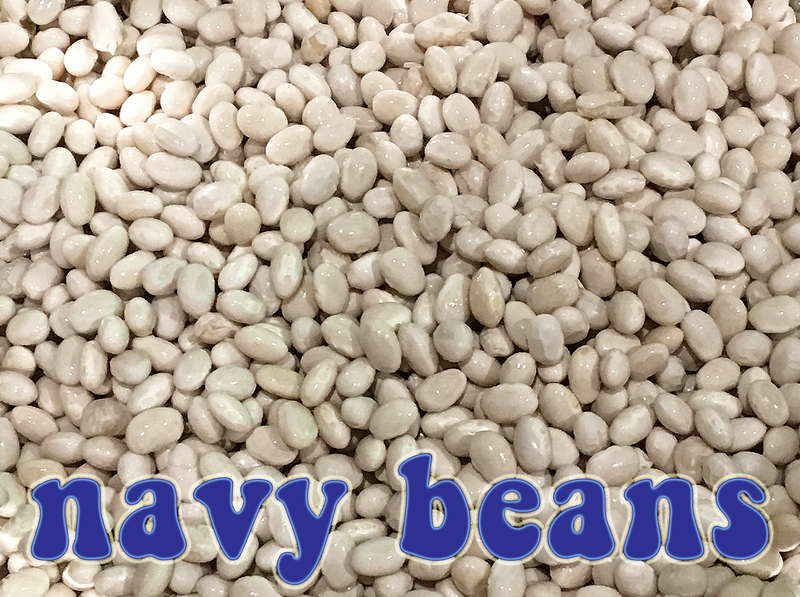 Navy beans received their nickname after being a popular staple of the U.S. Navy in the early 20th century. 2. Heat the oil in a large skillet. Add the onion, celery, and garlic. Sauté 5 minutes. Add this mixture to the beans and broth. 3. Add the rest of the ingredients, except the cheese. Simmer, covered, for 30 minutes. 4. 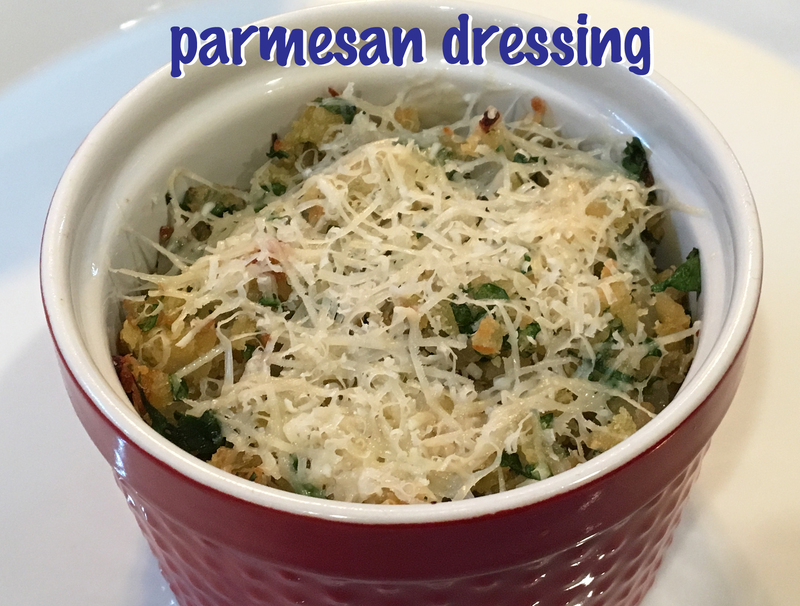 To serve, sprinkle each serving with the grated parmesan cheese and ENJOY! Yields: About 8-9 servings (~2 cups each, in size). Nutritional info is below in the original recipe scan!